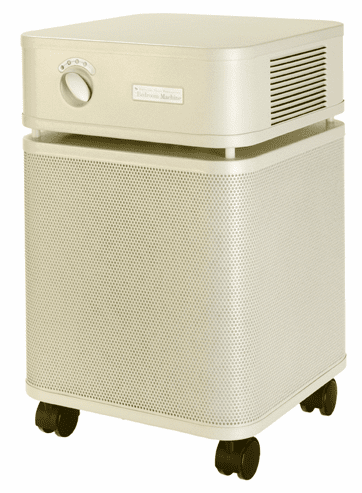 If you have any trouble with allergies, respiratory/breathing problems or sensitivity to chemicals, Austin is the air purifier for you. 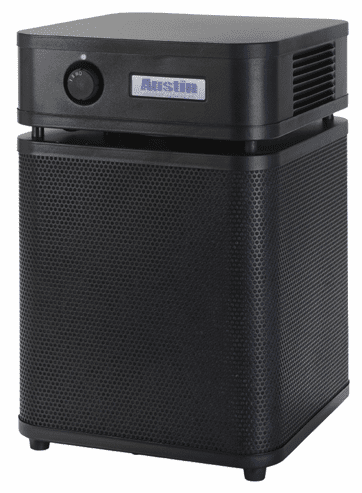 Proudly made in America, the Austin Air offers a selection of high quality air purifiers for home or office. With a powerful 360-degree intake system, the Austin Air cleaners achieve the highest levels of performance with maximum efficiency. Able to move 250 cubic feet of air, the 4-stage filter progressively removes 99.97% of harmful pollutants from the air down to 0.3 microns. 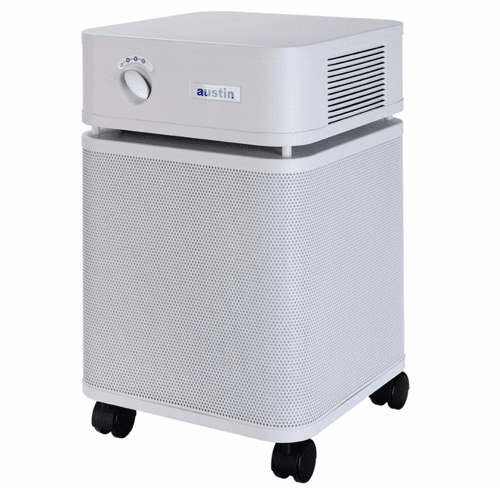 Every Austin Air purifier contains True Medical Grade HEPA and Activated Carbon, filter technology trusted by hospitals and physicians nationwide. Austin Air offers a 30 day no questions asked, money back guarantee. If you are not completely satisfied, just return it for a full refund, minus the cost of shipping originally incurred by the seller. 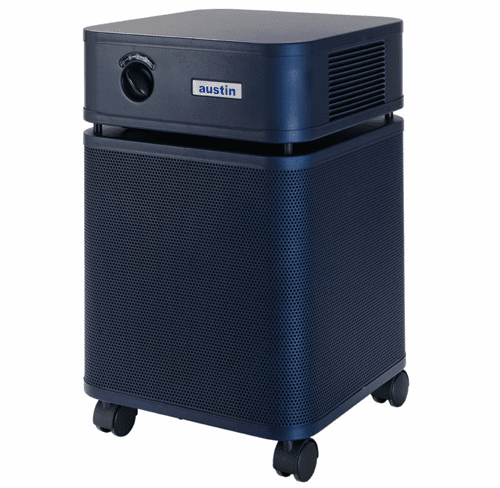 Austin Air stands behind every one of their air purifiers, ensuring that the unit you purchase will be free from all material and workmanship defects for 5 years from the date of purchase. To take advantage of this warranty, the unit must have been used under normal residential conditions and the product warranty registration completed. Austin Air reserves the right to repair or replace your unit. Austin Air also has a 5-year prorated filter warranty. With a life expectancy of 5 years under normal residential use, filters from Austin Air outperform other air purifier filters. The prorated warranty allows you to receive a discount on the purchase of your next filter based on the length of time your current filter was used. Please note that Austin Air does reserve the right to refuse a filter replacement at a prorated price and/or request that the filter be returned for inspection. 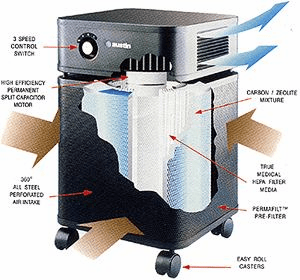 4-Stage Air Filtration System. Every Austin Air cleaner utilizes Medical Grade HEPA and Activated Carbon to address the most serious airborne contaminants in your home. No Dangerous By-Products. Austin Air cleaners do not produce any harmful levels of ozone. Just clean, healthy air. Easy to Use. 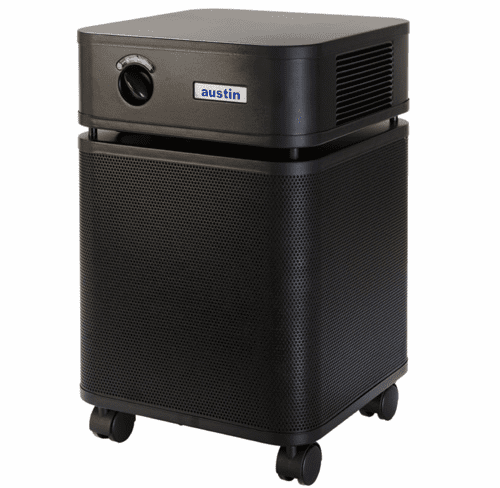 Austin Air cleaners are simple to operate and feature a powerful centrifugal fan with 3-speed settings. Virtually Maintenance Free. Austin Air cleaners require the occasional vacuuming of the exterior air intake vents to remove large particles of dust and/or hair. 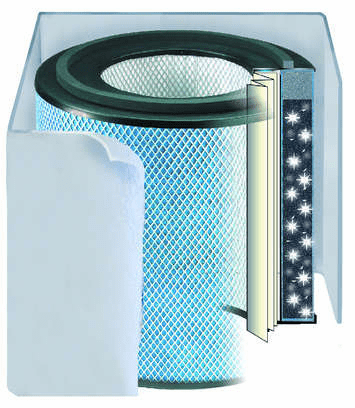 All filters are designed to last up to 5 years under normal residential use. Low Energy Consumption. On average, an Austin Air cleaner costs about .7 cents per hour to operate. Depending on the machine you chose, the maximum draw could be 135 watts. Highly Rated Coverage Area. 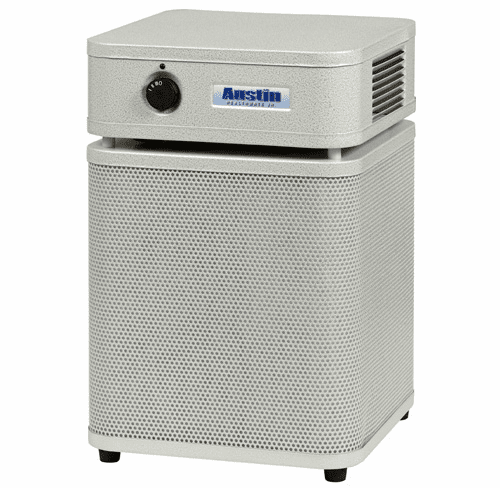 Austin Air Standard air purifiers have a coverage area of up to 1500 square feet. 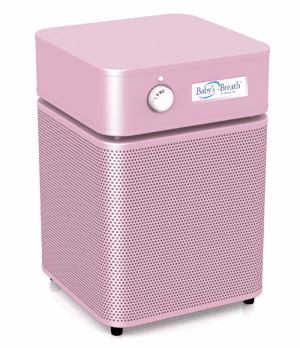 Junior air purifiers have a coverage area of up to 700 square feet. Continuous Use. 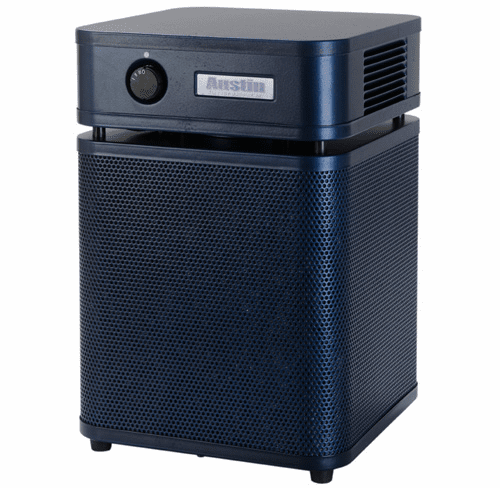 Austin Air encourages everyone who owns one of their machines to leave the air purifier on at all times in order to attain the healthiest indoor air quality possible. With nine machines to choose from, you are guaranteed to find an Austin Air Cleaner that meets your indoor air quality needs! 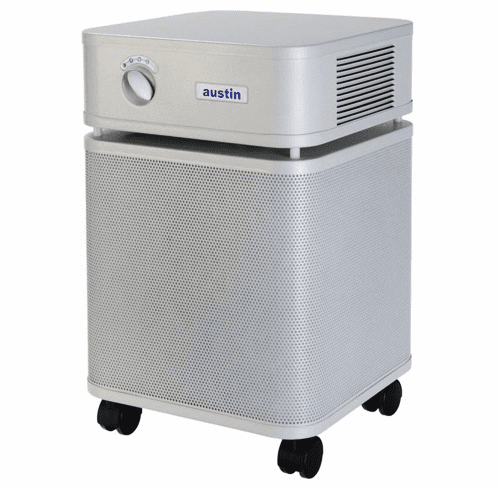 Austin air purifiers for your better health.